For those who are not frequent readers of this blog, I have been taking medicine for Depression for over 10 years. I had never been clinically diagnosed or seen a professional about it, but since my general physician said I was depressed, I took his word for it. This past year, I have noticed a significant change in my depression, though. I don’t blog about it a lot because I don’t want to have my blog be all about that or have my depression define or rule me. Even so, I HAVE voiced feelings towards wearing a mask at times because I am so silent on how it affects me. Over the past year or so, I have lost interest on most of the things I once loved. I don’t go out and do things as much and I tend to isolate myself a lot. I shy away from socializing in person or on the phone as much as possible. I have a hard time with decision making and there are times where I find it hard to blog on a certain day not because I can’t find a topic, but because my concentration won’t allow me to focus. Blogging has become a true godsend for me, because it’s the one thing in my life lately that keeps me going. 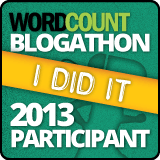 No matter how I feel, I have this push to complete my blog challenge. But I want so much more for my life. I want to be able to take these ideas for my future and go forward and achieve them. I want to WANT to go places and do things like I once did. So, a few weeks ago, I took a huge step in changing things and set up an appointment to talk to a mental health professional about my depression and see what I could do. This morning was my appointment and I was incredibly nervous, but I went. I told them about what’s been going on and about my history. I cried a bit but I kept control and didn’t lose it. The diagnosis was Depressive Disorder or Depression, NOT Major Depressive Disorder as I feared. It was still great to hear validation from someone qualified to diagnose these things, though. For now, I will still be taking the medicine I have for years. To try a different kind, I guess I will be stuck asking my regular doctor. BUT it was suggested that I go to counseling and I was given some numbers of places to call for that. It’s going to be hard for me to call the places and continuing taking steps, but I think I am finally ready. I’m tired of the way I feel inside. I see people who don’t have Clinical Depression that are so optimistic all the time and I hear their advice to just SMILE. Just think of all you have to be grateful for, think happy thoughts. Change your way of thinking. All along I have heard this and wondered why it has been so hard for me to actually apply that to my daily life…outside of just typing in my blog. Why can’t I just do it, for heaven’s sake? Well….Because someone who has been depressed since their teen years and never done anything but take medicine for it,can’t. I learned that today. People with Depressive Disorder tend to think negatively about everything. They tend to always envision the worst outcomes and have trouble thinking positively. When someone has gone so long thinking ONE way, it’s hard for them to know how to change things. This is where Counseling comes in handy. Counseling gives guidance on how to retrain your brain and give you skills that you missed out on. Like how to rethink the negativity and turn it into good. But it takes a lot of counseling and not just a couple sessions. It’s going to take a lot of work to retrain a brain that has been thinking negative for so long. It’s not my fault that I didn’t know how to change things. The medicine is there to stabilize your mood, but it doesn’t show you how to change your way of thinking. As an example, the counselor said it was like breaking a bone. When you break a bone, the doctor gives you medicine, but is that all you do to heal? No, you slowly do exercises to regain the strength and movement. You do rehabilitation to get the bone back in shape. What would happen if you just lay there and JUST took medicine for years? Well, your muscles would become stiff and eventually atrophy. Then when you finally decide to get up and move the area where you broke the bone, you would find it unwilling to do so. It would be so stuck in place, that it would now be inflexible, rigid and have forgotten how to do its job. Well, this is how Depression affects someone who has only taken medicine for over a decade and had no counseling. The medicine was making it easier to function better, but without the counseling to work on the issues surrounding the depression and the cause of it to begin with, your brain begins to atrophy in a way. It begins to get used to the depressive state and the negative way of thinking and you start to feel like it’s normal, but it’s not. It’s not normal at all and I feel stuck. I still have to take the next step and start counseling, but I walked out of there actually truly happy for the first time in a long time. I feel like I finally have an answer to why I have been stuck; to the reason I have felt the way I have for so long. For once in my life, I also feel like I have a solution that will help me as well as resources to turn to. I’m finally ready to help myself overcome depression once and for all and I’m starting the healing from the inside out. I’m truly happy to hear of your rejuvenation, young lady! Keep moving forward. All the best to you as you take difficult and brave steps. Counseling has helped me through many bad times. Thinking of you as your start on this path! By the way, what ever happened to your blog? Are you still doing it and I’m just not receiving notifications? Good for you to take this step! I completely agree that depression can only be treated with medication. It takes a lot of work to rewire your brain (mentally, not physiologically) and think positively. And the longer you’ve been depressed, the longer it will take to do that. The key is to stay motivated and have an ultimate goal. And baby steps are best, so you should set up several goals for yourself. Every time you manage to make some progress (you choose what that progress is) you reward yourself with something. It’s a lot more rewarding than having a big goal at the end. Just remember we all have our ups and downs but only you can decide how to deal with it. Nobody will or should decide for you. Surround yourself with supporting people too, you’ll need it. Good for you! It’s got to be worth a try since meds alone aren’t working. I do wonder whether it might be worth looking into the meds, if different ones would be better, or even coming off them altogether. I am not any kind of expert, but a lot of this kind of drug can have funny effects – some anti-depressants actually list depression as a possible side effect! What’s the point of that?! So I’d be worried about being on something for so long which was prescribed by a non-expert. But I try to minimise my medication as much as possible, or I’d rattle! Your comments also made me think about my parents, who are both on anti-depressants and have been for quite some time. My Dad had some counselling a while ago, but maybe they should both go for some now! I’ll suggest it to them. I just had counselling for my anxiety and it was good to have someone to talk to. CBT didn’t really suit me, but it does help a lot of people. Certainly learning more about myself and what was happening to me and why really helped, as well as finding ways to stop beating myself up! That’s what I was hoping the place I went to yesterday could help me with…looking into the specific medication I had been taking and changing it, possibly. But I don’t qualify their help with that because my mental health isn’t bad enough…which is a good thing, I suppose. I need to find a better general physician and see if they can change the kind I had been taking. I haven’t taken my depression medicine for almost a month and have yet to notice that much of a difference….I think it had either ceased to work or never really did to begin with. Whenever I go see a doctor again, I will see if they will prescribe new medication but for now, I am going to seek some counseling to see if it helps any for now. I really think it will because just talking to the people I did yesterday really seemed to help. It wasn’t a counseling session but being able to talk things out with someone in private helped, I could feel it helping. Brave woman! Thanks for being willing to share your story with others. I appreciate your kind words. It WAS hard to share, but I hope it can help someone else to make a change as well if need be. I know I always appreciate knowing I’m not alone in battling through anything so hopefully people that are going through what I am will know that they aren’t alone, as well. I’m glad you got some answers. 🙂 Good luck in moving forward! Good Luck Sharon! It is hard to talk about depression, especially to people who think it is just something you can shrug off and go on. I’ve had depression on and off since my early teen years and therapy was very beneficial as it not only let me work through issues but taught me how to deal with it more effectively. With your type of depression, odds for a full recovery are in your favor. It’s great to hear from someone else who has been through therapy and seen positive results! That really gives me hope. I have found it extremely frustrating dealing with people who think depression IS something that you can just snap out of. And you can’t really get them to understand unless they have dealt with it themselves or even HAVE to deal with it. A part of me really wanted to do a post that might help someone else going through what I am or even something similar. If there’s anyone else in my position that might read it and realize there is hope and that it’s not their fault they can’t just “snap out” of it, that’s all that matters. I wish I had had someone tell me that a lot earlier….